Although AMNH FR 21444 is an important early and relatively basal lizard whose internal skull structure was first described more than eight years ago (Conrad and Norell, 2006), this specimen has never been formally diagnosed or named. Several papers (Conrad, 2008; Daza et al., 2008, 2012, 2013; Daza and Bauer, 2010; Gauthier et al., 2012) have used AMNH FR 21444 to help reconstruct ancestral states for various squamate groups, especially Gekkonomorpha, its constituent clades, and basal squamate anatomy. Here, we formally describe, diagnose, and name AMNH FR 21444. We describe the braincase of AMNH FR 21444, a gecko-like squamate from the Early Cretaceous of Mongolia, based on high-resolution x-ray computed tomography scans (CT scans) and incorporate it in a phylogenetic analysis of 36 squamate taxa scored for 226 morphological characters. Our analysis corroborates the Eublepharidae-Gekkonoidea split as the basal gekkotan dichotomy, but retrieves Teratoscincus as the sister-taxon to pygopodines + diplodactylines. The combination of plesiomorphic and apomorphic character states within AMNH FR 21444 demonstrates a decoupled evolutionary history between the braincase and the rest of the skull and mandible within gekkonomorph squamates. Enclosure of the lateral head vein and mandibular branch of the trigeminal nerve are both plesiomorphic for gekkonomorphs. The mechanisms responsible for the transition from the plesiomorphic skull roof of basal gekkonomorphs to the modern gekkotan condition cannot be anticipated given the current data. Click here for a Winzipped 8-bit TIFF version of the original CT dataset (267 mb). This specimen was collected from Red Mesa, Öösh Basin, Mongolian People’s Republic. It was made available to The University of Texas High-Resolution X-ray CT Facility for scanning by Dr. Jack Conrad of the American Museum of Natural History. Funding for scanning and image processing was provided by a National Science Foundation Dissertation Improvement grant (DEB-0408064) to Dr. Conrad. Funding for additional image processing was provided by a National Science Foundation Digital Libraries Initiative grant to Dr. Timothy Rowe of The University of Texas at Austin. The specimen was scanned by Matthew Colbert on 1 December 2004 along the coronal axis for a total of 645 1024x1024 pixel slices. Each slice is 0.027 mm thick, with an interslice spacing of 0.027 mm and a field of reconstruction of 12.5 mm. Abdala, V., and S. A. Moro. 2003. A cladistic analysis of ten lizards families (Reptilia: Squamata) based on cranial musculature. Russian Journal of Herpetology 10:53-78. Alifanov, V. R. 1989. The most ancient gekkos (Lacertilia: Gekkonidae) from the Lower Cretaceous of Mongolia. Paleontol Zh. 1:57-74. Andres, B., and M. A. Norell. 2005. The first record of a pterosaur from the Lower Cretaceous sediments of Öösh (Omnogov: Mongolia). American Museum Novitates 3472:1-6. Andrews, R. C. 1932. The New Conquest of Central Asia: Natural history of Central Asia, volume I. 1.American Museum of Natural History, New York. 691 p.
Augé, M. 2003. La faune de Lacertilia (Reptilia, Squamata) de l'Éocène inférieur de Prémontré (Bassin de Paris, France). Geodiversitas 25:539-574. Bauer, A. M., Böhme, W., and W. Weitschat. 2005. An Early Eocene gecko from Baltic amber and its implications for the evolution of gecko adhesion. Journal of Zoology (Londom) 265:327-332. Beuchat, C. A. 1986. Phylogenetic distribution of the urinary bladder in lizards. Copeia 1986:512-517. Bever, G. S., Bell, C. J., and J. A. Maisano. 2005. The ossified braincase and cephalic osteoderms of Shinisaurus crocodilurus (Squamata, Shinisauridae). Palaeontologia Electronica 8(1):1-36. Borsuk-Bialynicka, M. 1983. The early phylogeny of Anguimorpha as implicated by craniological data. Acta Palaeontologica Polonica 28:5-105. Borsuk-Bialynicka, M. 1984. Anguimorphans and related lizards from the Late Cretaceous of the Gobi Desert, Mongolia. Palaeontologica Polonica 46:5-105. Borsuk-Bialynicka, M. 1988. Globaura venusta gen. et sp. n. and Eoxanta lacertifrons gen. et sp. n. -- non-teiid lacertoids from the Late Cretaceous of Mongolia. Acta Palaeontologica Polonica 33:211-248. Caldwell, M. W. 1999. Squamate phylogeny and the relationships of snakes and mosasauroids. Zoological Journal of the Linnean Society 125:115-147. Carroll, R. L., and R. Wild. 1994. Marine members of the Sphenodontia, p. 70-83. In N. C. Fraser and H.-D. Sues (eds. ), In the Shadow of the Dinosaurs: Mesozoic tetrapods. Cambridge University Press, New York. Conrad, J. L. 2004a. Re-analysis of anguimorph (Squamata: Reptilia) phylogeny with comments on some problematic taxa. Journal of Vertebrate Paleontology 24 (suppl. 3):47A. Conrad, J. L. 2004b. Skull, mandible, and hyoid of Shinisaurus crocodilurus Ahl (Squamata, Anguimorpha). Zoological Journal of the Linnean Society 141:399-434. Conrad, J. L. 2005. Shinisaur Osteology and the Evolution of Squamata. Ph.D. Dissertation, University of Chicago, Chicago, 682 p.
Conrad, J. L. in press. An Eocene shinisaurid (Reptilia, Squamata) from Wyoming, U.S.A. Journal of Vertebrate Paleontology. Conrad, J. L., and P. C. Sereno. 2004. An Early Cretaceous lizard skull from Mongolia and the early evolution of Gekkota. Society of Integrative and Comparative Biology 43 (meeting abstracts):133. Cuenca-Bescós, G, and J. I. Canudo. 2003. A new gobiconodontid mammal from the Early Cretaceous of Spain and its palaeogeographic implications. Acta Palaeontologica Polonica 48:575-582. DeBraga, M., and R. L. Carroll. 1993. The origin of mosasaurs as a model of macroevolutionary patterns and processes. Evolutionary Biology 27:245-322. Donnellan, S. C., Hutchinson, M. N., and K. M. Saint. 1999. Molecular evidence for the phylogeny of Australian gekkonoid lizards. Biological Journal of the Linnean Society 67:97-118. Estes, R. 1983. Sauria terrestria, Amphisbaenia. Encyclopedia of Paleoherpetology, 10.Gustav Fischer Verlag, New York. 249 p.
Estes, R., de Queiroz, K., and J. Gauthier. 1988. Phylogenetic relationships within Squamata, p. 119-281. In R. Estes and G. Pregill (eds. ), Phylogenetic Relationships of the Lizard Families. Stanford University Press, Stanford. Estes, R., and G. Pregill. 1988. The Phylogenetic Relationships of the Lizard Families. Stanford University Press, Stanford, 631 p.
Etheridge, R., and K. de Queiroz. 1988. A phylogeny of Iguanidae, p. 283-367. In R. Estes and G. Pregill (eds. ), Phylogenetic Relationships of the Lizard Families. Stanford University Press, Stanford. Evans, S. E. 1980. 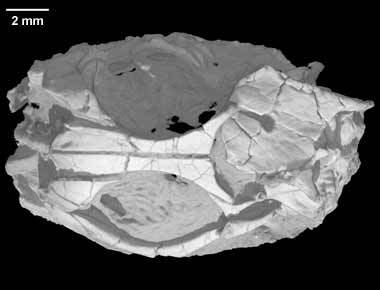 The skull of a new eosuchian reptile from the Lower Jurassic of South Wales. Zoological Journal of the Linnean Society 70:203-264. Evans, S. E. 1994. A new anguimorph lizard from the Jurassic and Lower Cretaceous of England. Palaeontology 37:33-49. Evans, S. E., and L. J. Barbadillo. 1998. An unusual lizard (Reptilia: Squamata) from the Early Cretaceous of Las Hoyas, Spain. Zoological Journal of the Linnean Society 124:235-265. Evans, S. E., and L. J. Barbadillo. 1999. A short-limbed lizard from the Lower Cretaceous of Spain. Special Papers in Palaeontology Series 60:73-85. Evans, S. E., and Y. Wang. 2005. Early Cretaceous lizard Dalinghosaurus from China. Acta Palaeontologica Polonica 50:725-742. Fraser, N. C. 1982. A new rhynchocephalian from the British Upper Trias. Palaeontology 25:709-725. Frost, D.R., and R. Etheridge. 1989. A phylogenetic analysis and taxonomy of iguanian lizards (Reptilia: Squamata). University of Kansas Museum of Natural History Miscellaneous Publication 81:1-65. Fürbringer, M. 1900. Beitrag zur Systematik und Genealogie der Reptilien. Jenaischen Zeitschrift für Naturwissenschaften 34:596-682. Gao, K.-Q., and M. A. Norell. 1998. Taxonomic revision of Carusia (Reptilia: Squamata) from the Late Cretaceous of the Gobi Desert and phylogenetic relationships of anguimorphan lizards. American Museum Novitates 3230:1-51. Gao, K.-Q., and M. A. Norell. 2000. Taxonomic composition and systematics of Late Cretaceous lizard assemblages from Ukhaa Tolgod and adjacent localities, Mongolian Gobi Desert. Bulletin of the American Museum of Natural History 249:1-118. Gauthier, J. A. 1982. Fossil xenosaurid and anguid lizards from the early Eocene Wasatch Formation, southeast Wyoming, and a revision of the Anguioidea. Contributions in Geology of the University of Wyoming 21:7-54. Gauthier, J. A., Estes, R., and K. de Queiroz. 1988. A phylogenetic analysis of Lepidosauromorpha, p. 15-98. In R. Estes and G. Pregill (eds. ), Phylogenetic Relationships of the Lizard Families. Stanford University Press, Stanford. Goloboff, P. A., Farris, J. S., and K. C. Nixon. 2003. T.N.T. : Tree Analysis Using Parsimony. Goloboff, Farris, and Nixon, www.zmuc.dk/public/phylogeny. Gradstein, F. M., Agterberg, F. P., Ogg, J. G., Hardenbol, J., and S. Backstrom. 1999. On the Cretaceous time scale. N. Jahrb. Geol. Palaontol. 212:3-14. Greer, A. E. 1985. The relationships of the lizard genera Anelytropsis and Dibamus. Journal of Herpetology 19:116-156. Grismer, L. L. 1988. Phylogeny, taxonomy, classification, and biogeography of eublepharid geckos, p. 369-469. In R. Estes and G. Pregill (eds. ), Phylogenetic Relationships of the Lizard Families. Stanford University Press, Stanford. Haas, G. 1960. On the trigeminus muscles of the lizards Xenosaurus grandis and Shinisaurus crocodilurus. American Museum Novitates 2017:1-54. Han, D. M., Zhou, K., and A. M. Bauer. 2004. Phylogenetic relationships among gekkotan lizards inferred from C-mos nuclear DNA sequences and a new classification of the Gekkota. Biological Journal of the Linnean Society 83:353-368. Hoffstetter, R. 1962. Revue des récentes acquisitions concernant l'histoire et la systématique des squamates. Colloq Int CNRS 45:243-278. Hutchinson, M. N. 1997. The first fossil pygopod (Squamata, Gekkota), and a review of mandibular variation in living species. Memoirs of the Queensland Museum 41:355-366. Jennings, W. B., Pianka, E. R., and S. Donnellan. 2003. Systematics of the lizard family Pygopodidae with implications for the diversification of Australian temperate biotas. Systematic Biology 52:757-780. Jollie, M. T. 1960. The head skeleton of the lizard. Acta Zoologica 41:1-64. Jullien, R., and S. Renous-Lécuru. 1972. Variations du trajet du nerf ulnaire (ulnaris) et de l'innervation des muscles dorsaux de la jambe chaz les Lacertiliens (Reptiles, Squamates): valeur systématique et application phylogénique. Bulletin du Muséum National D'Histoire Naturelle Section A, Zoologie, biologie et écologie animales 23:207-245. Kearney, M. 2001. Systematics and Evolution of the Amphisbaenia (Lepidosauria: Squamata): A phylogenetic hypothesis based on morphological evidence from fossil and Recent forms. Ph.D, The George Washington University, Washington, D.C., 387 p.
Kearney, M. 2003. Systematics of the Amphisbaenia (Lepidosauria: Squamata) based on morphological evidence from recent fossil forms. Herpetological Monographs 17:1-74. Kearney, M., and J. M. Clark. 2003. Problems due to missing data in phylogenetic analyses including fossils: a critical review. Journal of Vertebrate Paleontology 23:263-274. Kearney, M., Maisano, J. A., and T. Rowe. 2005. Cranial anatomy of the extinct amphisbaenian Rhineura hatcherii (Squamata, Amphisbaenia) based on high-resolution x-ray computed tomography. Journal of Morphology 264:1-33. Kluge, A. G. 1967. Higher taxonomic categories of gekkonid lizards and their evolution. Bulletin of the American Museum of Natural History 135:1-60. Kluge, A. G. 1983. Cladistic relationships among gekkonid lizards. Copeia, 1983:465-475. Kluge, A. G. 1987. Cladistic relationships in the Gekkonoidea (Squamata, Sauria). Miscellaneous Publication of the Museum of Zoology University of Michigan 173:1-54. Lakjer, T. 1926. Studien über die Trigeminus-versorgte Kaumuskulatur der Sauropsiden. C. A. Reitzel, Copenhagen. 153 p.
Lee, M. S. Y. 1998. Convergent evolution and character correlation in burrowing reptiles: towards a resolution of squamate relationships. Biological Journal of the Linnean Society 65:369-453. Lee, M. S. Y. 2000. Soft anatomy, diffuse homoplasy, and the relationships of lizards and snakes. Zoologica Scripta 29:101-130. Lee, M. S. Y, and M. W. Caldwell. 2000. Adriosaurus and the affinities of mosasaurs, dolichosaurs, and snakes. Journal of Paleontology 74:915-937. Maisano, J. A. 2001. A survey of state of ossification in neonatal squamates. Herpetological Monographs 15:135-157. McDowell, S. B., Jr., and C. M. Bogert. 1954. The systematic position of Lanthanotus and the affinities of the anguinomorphan lizards. Bulletin of the American Museum of Natural History 105:1-142. McGuire, J. A. 1996. Phylogenetic systematics of crotaphytid lizards (Reptilia: Iguania: Crotaphytidae). Bulletin of Carnegie Museum of Natural History 32:1-143. Meszoely, C. A. M. 1970. North American fossil anguid lizards. Bulletin of the Museum of Comparative Zoology 139:87-150. Moffat, L. A. 1973. The concept of primitiveness and its bearing on the phylogenetic classification of the Gekkota. Proceedings of the Linnean Society of New South Wales 97:275-301. Norell, M. A, and K. de Queiroz. 1991. The earliest iguanine lizard (Reptilia: Squamata) and its bearing on iguanine phylogeny. American Museum Novitates 2997:1-16. Oelrich, T. M. 1956. The anatomy of the head of Ctenosaura pectinata (Iguanidae). Miscellaneous Publication of the Museum of Zoology University of Michigan 94:1-122. Oppel, M. 1811. Die Ordnungen, Familien, und Gattungen der Reptilien als Prodrom einer Naturgeschichte derselben., Joseph Lindauer, München. 86 p.
Ostrom, J. H. 1962. On the constrictor dorsalis muscles of Sphenodon. Copeia, 1962:732-735. Ota, H., Honda, M., Kobayashi, M., Sengoku, S., and T. Hikida. 1999. Phylogenetic relationships of eublepharid geckoes (Reptilia: Squamata): a molecular approach. Zoological Science 16:659-666. Presch, W. 1988. Phylogenetic relationships of the Scincomorpha, p. 471-492. In R. Estes and G. Pregill (eds. ), Phylogenetic Relationships of the Lizard Families. Stanford University Press, Stanford. Reynoso, V.-H. 1998. Huehuecuetzpalli mixtecus gen. et sp. nov. a basal squamate (Reptilia) from the Early Cretaceous of Tepexi de Rodríguez, Central México. Philosophical Transactions of the Royal Society of London B 353:477-500. Rieppel, O. 1980a. The Phylogeny of Anguinimorph Lizards. Naturforschenden Gesellshaft, Basel. 86 p.
Rieppel, O. 1980b. The postcranial skeleton of Lanthanotus borneensis (Reptilia, Lacertilia). Amphib-Reptilia 1:95-112. Rieppel, O. 1981. The skull and the jaw adductor musculature in some burrowing scincomorph lizards of the genera Acontias, Typhlosaurus and Feylinia. Journal of Zoology (London) 195:493-528. Rieppel, O. 1984a. The cranial morphology of the fossorial lizard genus Dibamus with a consideration of its phylogenetic relationships. Journal of Zoology (London) 204:289-327. Rieppel, O. 1984b. Miniaturization of the lizard skull: its functional and evolutionary implications, p. 503-520. In M. W. J. Ferguson (ed. ), The Structure, Development and Evolution of Reptiles: Symposium No 52 of the Zoological Society of London. Academic Press, London. Rieppel, O. 1984c. The structure of the skull and jaw adductor musculature in the Gekkota, with comments on the phylogenetic relationships of the Xantusiidae (Reptilia: Lacertilia). Zoological Journal of the Linnean Society 82:291-318. Rieppel, O. 1984d. The upper temporal arcade of lizards: an ontogenetic problem. Revue suisse de zoologie 91:475-482. Rieppel, O. 1993. Patterns of diversity in the reptilian skull, p. 344-390. In J. Hanken and B. K. Hall (eds. ), The skull: v 2 Patterns of structural and systematic diversity.Volume 2. The University of Chicago Press, Chicago. Rieppel, O., and H. Zaher. 2000a. The braincases of mosasaurs and Varanus, and the relationships of snakes. Zoological Journal of the Linnean Society 129:489-514. Rieppel, O., and H. Zaher. 2000b. The intramandibular joint in squamates, and the phylogenetic relationships of the fossil snake Pachyrhachis problematicus Haas. Fieldiana Geology 43:1-69. Röll, B., and F. W. Henkel. 2002. Are pygopods just legless geckos? Evidence from retinal structures. Salamandra 38:73-84. Romer, A. S. 1956. Osteology of the Reptiles. The University of Chicago Press, Chicago. 772 p.
Rougier, M. J., Novacek, M. J., McKenna, M. C., and J. R. Wible. 2001. Gobiconodonts from the Early Cretaceous of Oshih (Ashile), Mongolia. American Museum Novitates 3348:1-30. Samiolov, V. S., Ivanov, V. G., and V. N. Smirnov. 1988. Late Mesozoic riftogenic magmatism in the northeastern part of the Gobi Desert (Mongolia). Soviet Geology and Geophysics 29:10-16. Savage, J. M. 1963. Studies on the lizard family Xantusiidae. IV--The genera. Contributions to Science 71:3-38. Schwenk, K. 1988. Comparative morphology of the lepidosaur tongue and its relevance to squamate phylogeny, p. 569-597. In R. Estes and G. Pregill (eds. ), Phylogenetic Relationships of the Lizard Families. Stanford University Press, Stanford. Sulimski, A. 1975. Macrocephalosauridae and Polyglyphanodontidae (Sauria) from the Late Cretaceous of Mongolia. Palaeontologica Polonica 33:25-102. Vicario, S., Caccone, A., and J. Gauthier. 2003. Xantusiid "night lizards": a puzzling phylogenetic problem revisited using likelihood-based Bayesian methods on mtDNA sequences. Molecular Phylogenetics and Evolution 26:243-261. Vidal, N., and S. B. Hedges. 2004. Molecular evidence for a terrestrial origin of snakes. Proceedings of the Royal Society of London: series B (biological sciences) 271 (suppl.):S226-S229. Vidal, N., and S. B. Hedges. 2005. The phylogeny of squamate reptiles (lizards, snakes, and amphisbaenians) inferred from nine nuclear protein-coding genes. Comptes rendus Biologies 328:1000-1008. Watabe, M., and S. Suzuki. 2000. Cretaceous fossil localities and a list of fossils collected by the Hayashibara Museum of Natural Sciences and Mongolian Paleontological Center Joint Paleontological Expedition (JMJPE) from 1993 through 1998. Hayashibara Museum of Natural Sciences Research Bulletin 1:99-108. Wever, E. G. 1978. The Reptile Ear. Princeton University Press, Princeton. 1024 p.
Whiteside, D. I. 1986. The head skeleton of the Rhaetian Sphenodontid Diphydontosaurus avonis gen. et sp. nov. and the modernizing of a living fossil. Philosophical Transactions of the Royal Society of London B 312:379-430. Wu, X.-c., Brinkman, D. B., and A. P. Russell. 1996. Sineoamphisbaena hexatabularis, an amphisbaenian (Diapsida: Squamata) from the Upper Cretaceous redbeds at Bayan Mandahu (Inner Mongolia, People's Republic of China), and comments on the phylogenetic relationships of the Amphisbaenia. Canadian Journal of Earth Sciences 33:541-577. To cite this page: Dr. Jack Conrad, Dr. Mark Norell, American Museum of Natural History, 2007, "Norellius nyctisaurops" (On-line), Digital Morphology. Accessed April 24, 2019 at http://digimorph.org/specimens/AMNH_21444/.